The MT series provides customer confidence with innovative control features like touch screen display and multi-cavity control systems. ​Temperature Controllers for 2 to 18 zones, TempMaster-Series hot runner temperature controllers are engineered to deliver perfect, precise control. Our MT series provide complete control at your fingertips, from 2 to 18 zone multi cavity systems. These TempMaster-Series temperature controllers are compatible with global industry standards. Mold-Masters MT multi-zone controllers feature a touch screen display, and are available on either a heavy duty or table top stand. Every Mold-Masters temperature controller is delivered completely assembled inspected and tested. 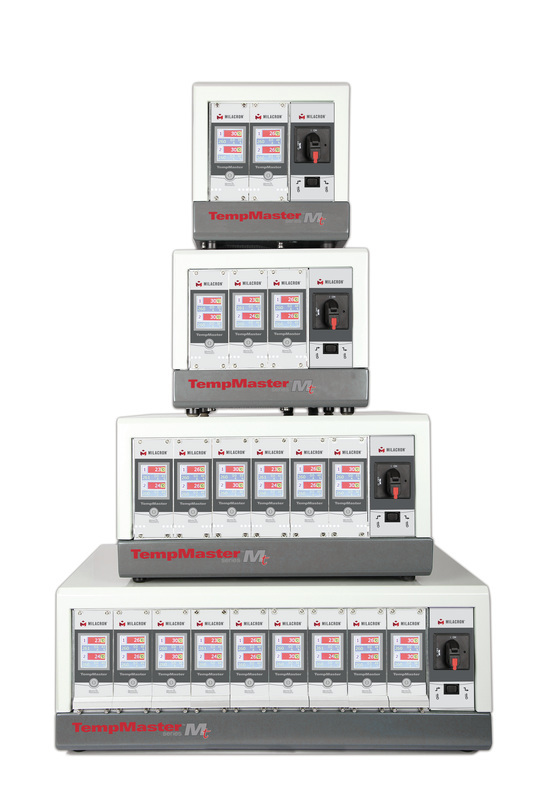 The TempMaster MT controller maximizes injection-molding performance and offers the lowest cost of ownership. DescriptionThe TempMaster M1 controller boasts a minimum footprint with the advanced features of a touch screen unit. 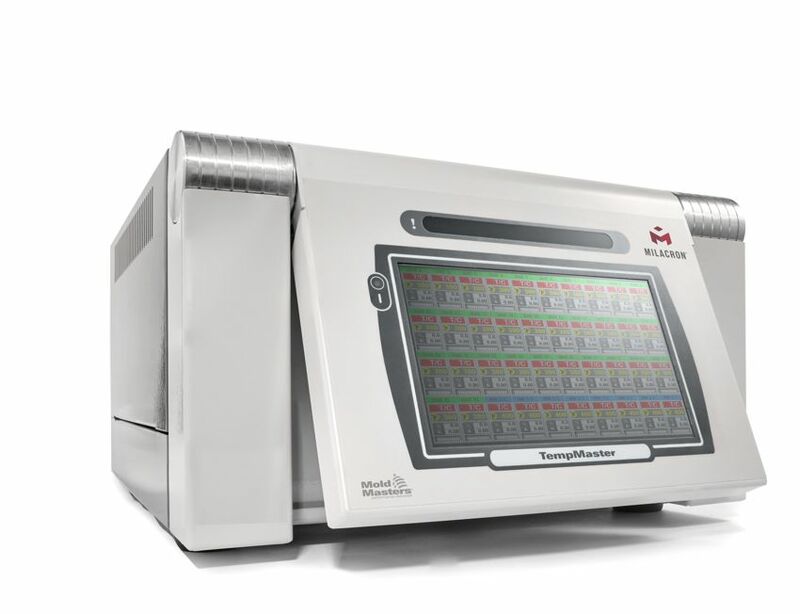 It’s adjustable touch screen includes diagnostics technology that optimizes hardware configuration and performance. The unit is plug and play, making it extremely user-friendly with quick start-ups that reduce scrap and energy usage. The unit is available in 6,12, 24 and 48 zone configurations, with 6 zone cards at 15 amps per zone. Temperature Controllers for 12 zones to 240 zones, TempMaster hot runner temperature controllers are engineered to deliver perfect, precise control.Our M2 line provides complete control at your fingertips, from 4 to 240 zone multi cavity systems. These TempMaster temperature controllers are compatible with global industry standards. M2 multi-zone controllers feature a 5.7″ – 15.1″ colour touch screen user interface, and are available on either an integrated stand, or a variety of heavy duty, direct mount or table top stands. Every TempMaster temperature controller is delivered completely assembled inspected and tested. The TempMaster M2 controller maximizes injection-molding performance of any hot runner and offers the lowest cost of ownership. • Product is pre-assembled and user friendly. • Optimizes the performance of any hot runner system. • Plug ‘n’ play ready – very simplistic operational process. • High quality, robust design for sustainable performance. The M-Series – Designed for ease of operation. Although each of the M-Series controllers offers features that are suited to specific applications, all of the units share common user-friendly interfaces. Right out of the box, the controller is easily setup and connected. Each unit has a touch screen that varies in size but still offers intuitive control programming. From interactive 3D graphing, system details and picture viewing, there are endless options that allow the user to customize their controller screen.